___ Agathe Jacquillat and Tomi Vollauschek of multi-disciplinary design studio FL@33 founded Stereohype in October 2004 – not just as an experimental playground for the London-based creative duo, but as an international platform for both emerging and established talents alike. ___ As well as celebrating Stereohype’s 10th anniversary (a landmark year which sees the number of the label's specially commissioned badges reach the magical figure of 1,000), this exhibition also serves as a huge thank you to the hundreds of collaborators, contributors and stockists that have supported Stereohype over the years. ___ The FL@33-designed and curated exhibition Stereohype 2004–2014 will open its gate during London Design Festival 2014 and as part of '160' – a series of exhibitions hosted by the London College of Communication (LCC). Stereohype's forthcoming B.I.O. 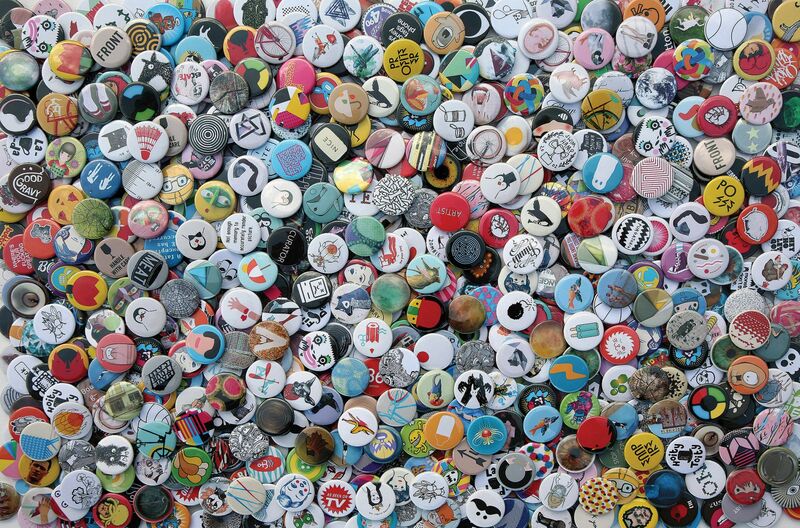 (by invitation only) Button Badge Series 14 will be on display with fresh new contributions by Caetano Calomino, Dina Silanteva, Emmi Salonen, FL@33, Henrik Birkvig, Julian Morey, Matthew Kenyon, Neringa Plange, Paul Jenkins, Russell Weekes, Sawdust, Studio Gpop, Tara Hanrahan and Tower Block Books aka Amandine Alessandra and Rute Nieto Ferreira. 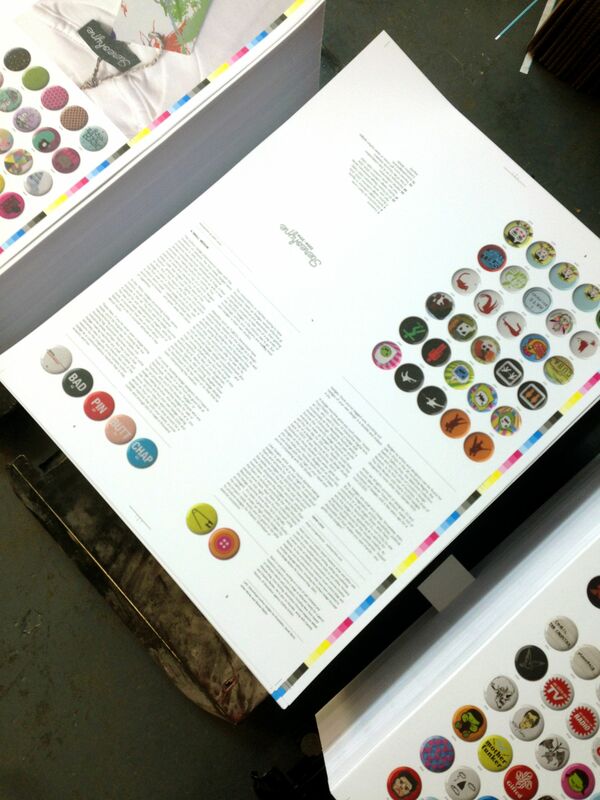 A FL@33-designed Stereohype catalogue – fresh from the press – featuring every single button badge and more will be available during the private view evening for a reduced special price of £5 (afterwards £10). Please bring cash if you are interested – the temporary shop will not be able to accept cards. 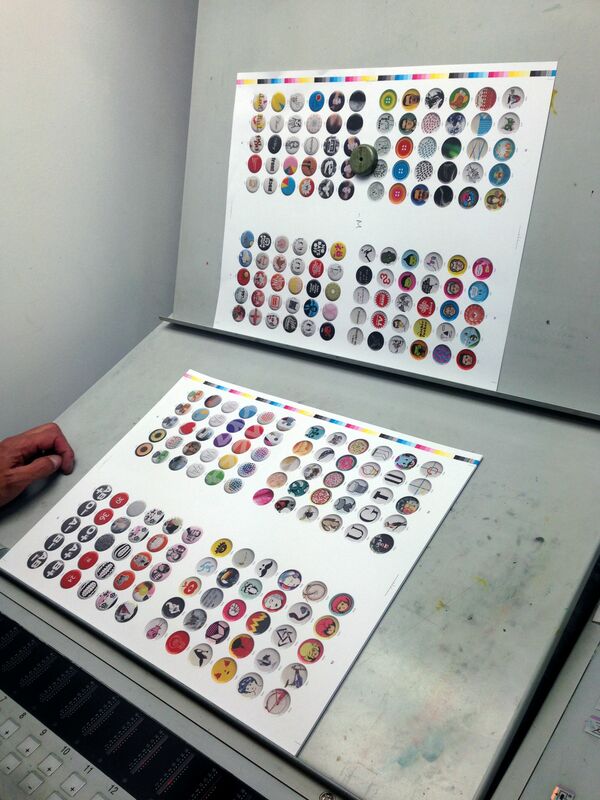 Stereohype button badge contributors may collect one complimentary copy at the shop. Please read on for more details. 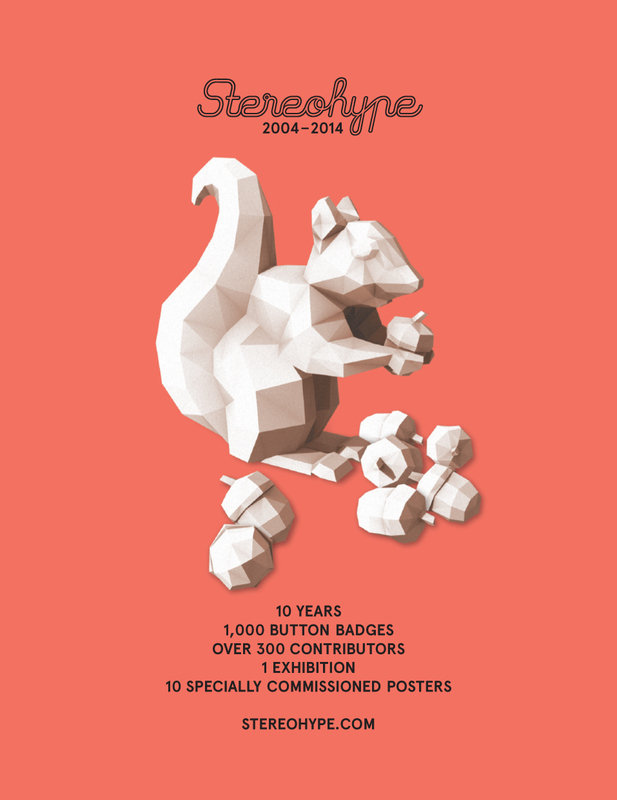 The Stereohype book will be launched during the show featuring the work of 300+ contributors to Stereohype's growing button badge collection (competition winners, B.I.O., AFOMFS, MICA and 10×10). 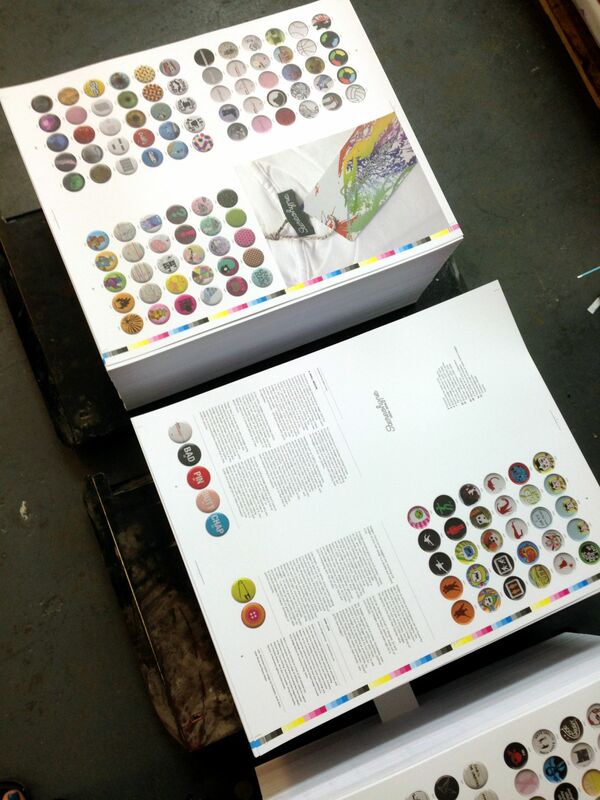 If you are one of them please feel free to collect one complimentary copy of Stereohype's exhibition catalogue during the private view evening. There will be a list of names and button badge numbers with the '160' shop staff that night. 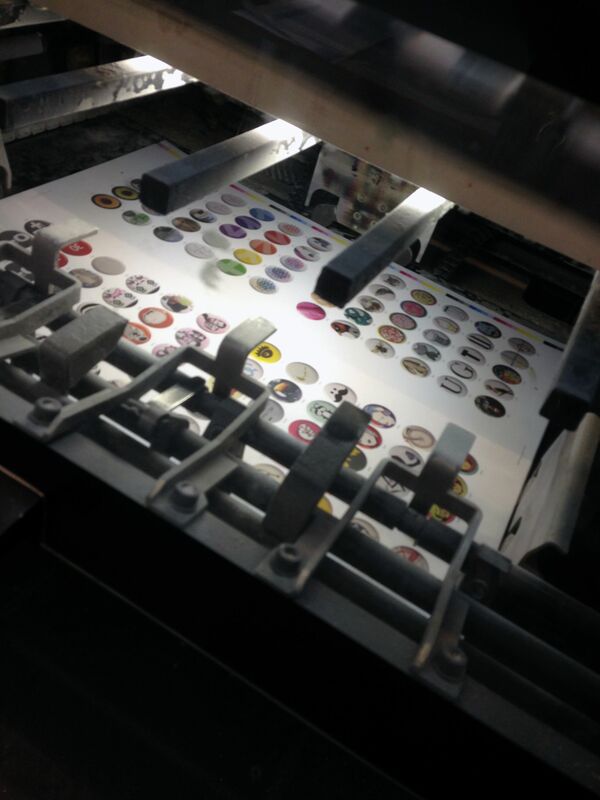 Simply state your button badge number and name (your number/s can be found in the show and the catalogue) and they will cross you off that list and give you one copy. Agathe and Tomi will also be there – so please do try to find them and say hi. Please note that you are only eligible to get one free copy of the catalogue – even if you contributed several times. If you can not make it that night Stereohype will let contributors know how to purchase a copy for a very special price via stereohype.com when the online boutique is back online. 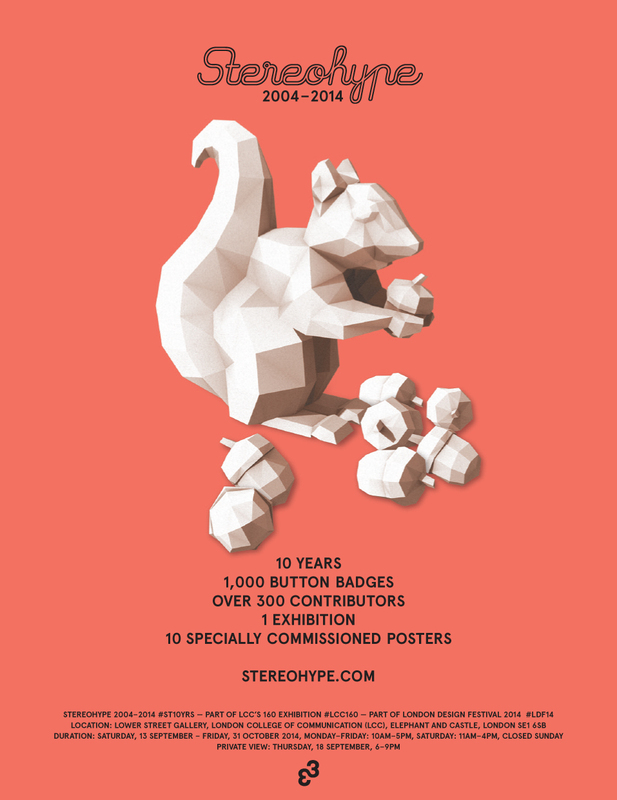 Stereohype's Facebook event page | please join if you are planning to come. Please see 'related links' below leading to LCC's blog and event entries.